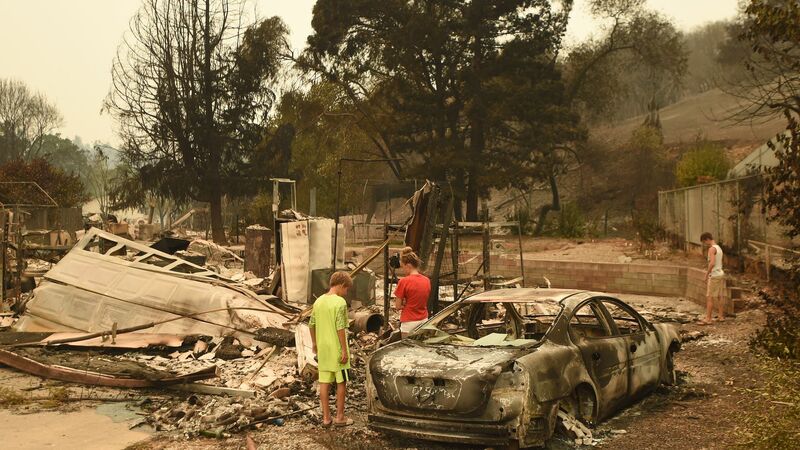 The Carr wildfire claimed the lives of two children and their great-grandmother on Saturday as it continued to spread, pushing the death toll to five. Threat level: Cal Fire explains that "very active" fire behavior took place overnight and warns that it will continue through Monday morning due to extreme heat and gusty winds. The Carr fire is just one of 22 fires blazing through California this weekend and was started by "mechanical failure of a vehicle."